DSC_0009, originally uploaded by michael_jecks. Very sad, this. 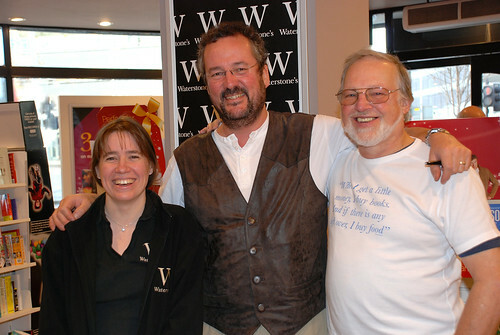 Graham was working there on his very last day as a member of the team at Waterstone’s. He’s been a permanent fixture for as long as I can remember. Originally this Waterstone’s was a Dillon’s bookshop, and Graham was there then. He was a tireless worker, always cheery (well, usually) and it was always good to see him. Now, of course, I’ll have to be nice and polite to Claire . . . not a hard thing, actually. She’s GREAT! This entry was posted on Thursday, December 13th, 2007 at 12:14 am	and is filed under Dartmoor. You can follow any responses to this entry through the RSS 2.0 feed. Both comments and pings are currently closed.